The massive damage that Palestinian rockets have caused in Sderot is not reported. Below are pictures from a recent rocket salvo. News reports of Palestinian rocket attacks against Israel's southern city are usually brief and to the point. Either Israeli civilians were killed, wounded or spared. But on a typical day when the rockets spare Israeli lives, what happens to Israeli property? 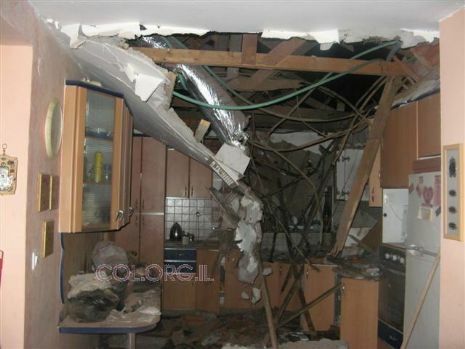 A Chabad member recently surveyed the damage to a home and car following a rocket attack.